Harris Sawing Equipment has been in the industry since the 1920s. Your needs rest in good hands. 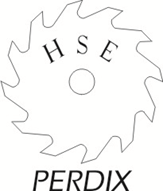 In addition to producing a wide range of circular saw blades used in a variety of industries, we also offer two specialised services. We recondition blades according to your requirements. Advice on the cutting of new equipment and equipment optimisation. We invite you, our clients, regardless of industry, to share concerns with us to allow us to help you with your saw blade needs. If we cannot help you, we can steer you to the right people who can.